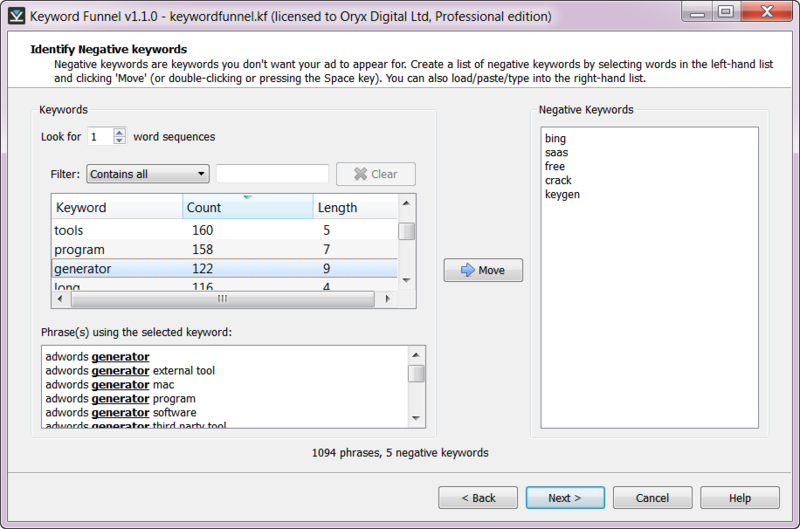 Use the keyword multiplier to quickly generate hundreds or thousands of additional phrases. Easily spot negative and unwanted keywords and remove them from all phrases with a single click. Find sequences of multiple keywords. Sort alphabetically, by frequency or word length. Group keywords into tightly focussed adgroups. Sort thousands of keywords automatically into adgroups in seconds. Optionally group keywords manually using simple but powerful wildcards. 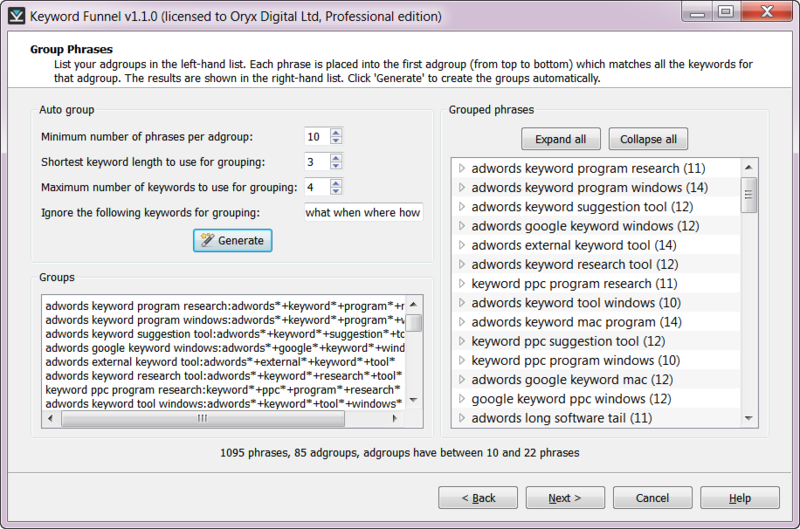 Get instant feedback on how keywords split into groups. Upload your keywords directly into AdWords using AdWords Editor. Import your keywords (including negative keywords) directly into Google's free AdWords Editor in a few clicks. 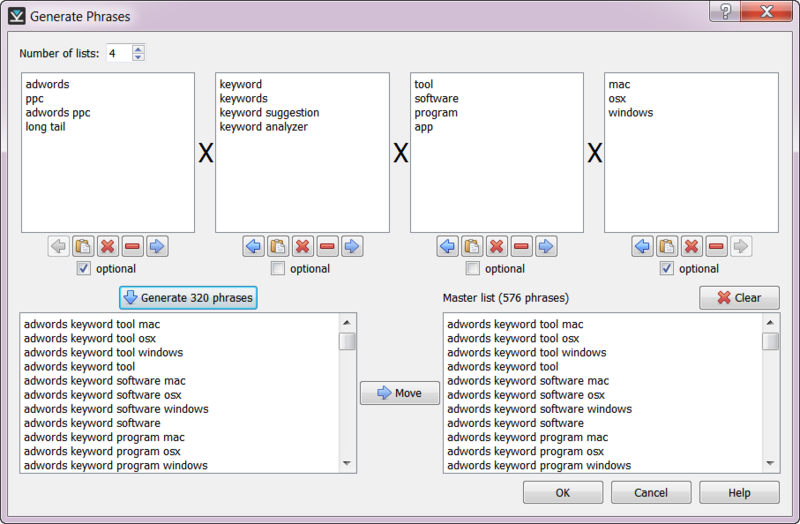 Choose match types (broad, enhanced broad, phrase or exact). Easily add new keywords into existing campaigns. 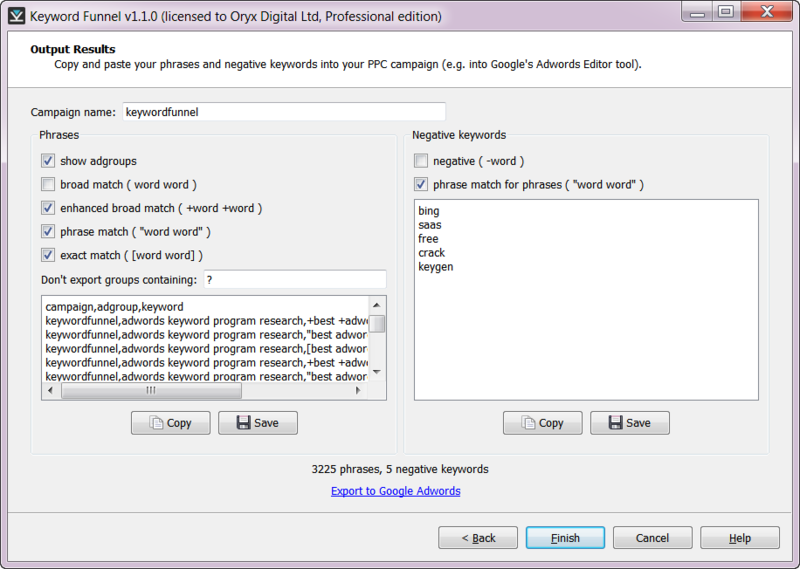 Re-use predefined negative/unwanted keywords and adgroups. 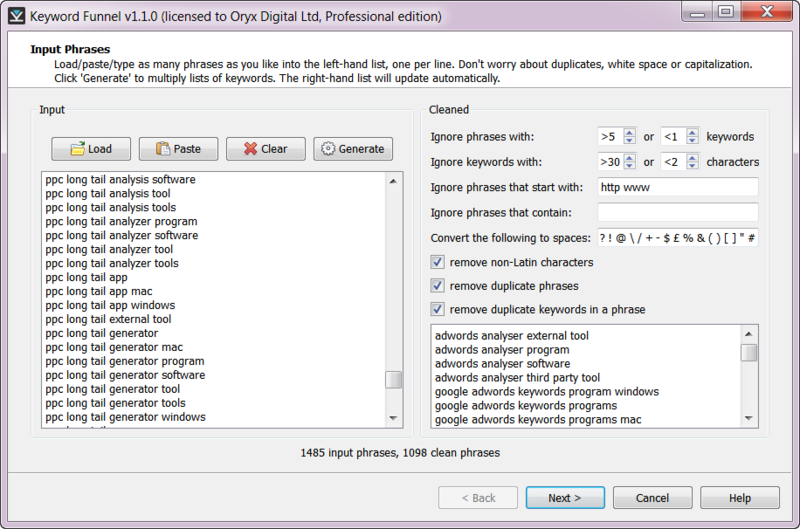 Keyword phrases already added will not be added again. The whole process is mostly automated (apart from identifying new negative/unwanted keywords).